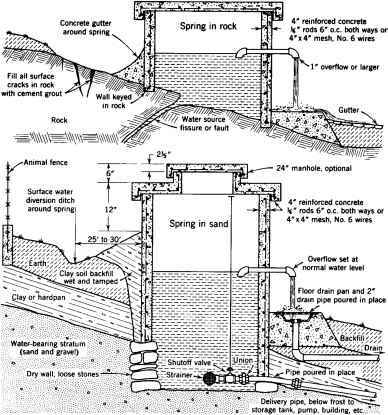 As discussed in Chapter 10, for the remediation of a piece of land suitable anodes and cathodes can be strategically placed in the (wetted) ground and an electric field from a DC source applied. As presented in Chapter 6, soil particles in contact with aqueous media are frequently negatively charged due to adsorption phenomena and lattice imperfections. Then, a double layer naturally forms inside a charged soil pore when cations from the liquid tend to neutralize this charge, and the outer layer of the liquid typically becomes positively charged as a result. The applied electric field produces a movement of this outer layer, and a drag interaction between this layer and its bulk inside the soil pore results. The liquid then moves along the potential field to wells where it can be collected and removed. This phenomenon is called electroosmotic transport. In addition, electrochemical reactions at the electrodes produce H2(g) and OH(~q) (cathode) and 02(g) and (anode), due to the electrolysis of water. These charged species (H+ and OH~), along with other ions encountered in the medium, are attracted to the oppositely charged electrodes and migrate, creating an acidic and a basic front, respectively. The movement of these fronts is aided by concentration gradients that promote diffusion. The combined effects of all the phenomena involved (i.e., electric, chemical, and hydraulic potentials) is known as electrokinetic remediation or electrokinetic processing of soils. The importance and variety of electrochemical applications in the pollutant treatment and remediation areas is discussed more in depth in Section 10.1. Three phenomena occurring during the electrokinetic processing of soils will be analyzed in this experiment by treating simulated contaminated soil (e.g., a clay or silica) with an electric field: a) the migration of ionic pollutants, b) the production and movement of acidic and basic fronts, and c) the movement of water under flow-direction control. Figure 1. Microscale electrokinetic processing of soils. (Adapted from Ibanez, 1998).